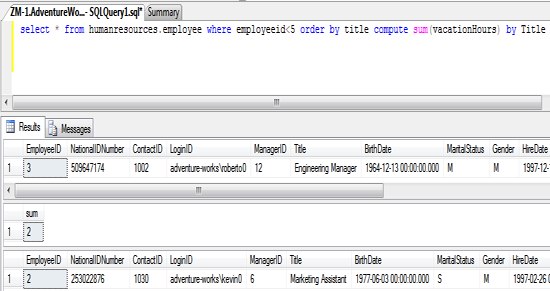 The sql clause compute by used with SELECT statement to calculate summary values of the result on a group of data. The column on which the data grouped is declared after BY keyword. It generates the summary report with individual data rows from the table. In this chapter, you have learned about compute by clause so now try to use this clause with yourself because it will help you to better use. In the next chapter you will learn about select top clause.